University marketing is a branch of recruitment marketing that has gained importance as the number of students worldwide continues to rise. But what exactly is university marketing? And what makes it so important? 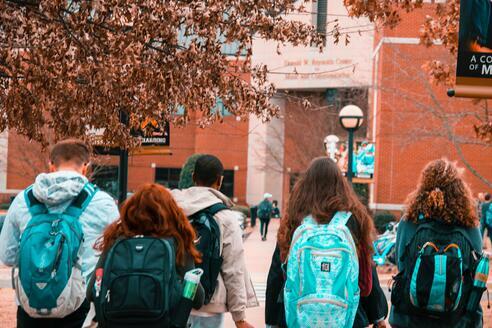 In this article, we'll share with you everything you need to know about university marketing. University marketing, in terms of recruiting, is the process of developing a marketing strategy towards reaching university students and graduates. The ultimate goal of university marketing is to turn students into applicants and eventually employees. The number of students around the world continues to increase, reaching a record high of 207 million in 2014. As this number continues to climb, so does the number of graduates who are actively seeking new positions. This is a key target group for filling entry-level positions. Through university marketing, companies can strategically reach this target group. For example, through hosting events and creating specific campaigns, companies can already get to know students before they graduate. Then, when they are ready to start working for full-time, they are already familiar with the company and are ready to apply. Your university marketing strategy should be well thought out in order to stand out. But don’t worry, we’ve put together a few tips to help you to succeed! 1. Using social media is a great way to engage with students. Social can be used to promote your employer brand, interact with students, and for posting open positions. 2. Make sure you are using the right channels to reach students, they may not be on the traditional job boards that you use to post your positions. 3. Having a talent pool is the perfect way to stay in contact with students who might not be ready to apply yet, but will be great candidates in the future. 4. Employer branding is a key part of reaching students. Take the time to ensure you are accurately and effectively communicating your employer brand. Would you like to learn more about university marketing? We will gladly show you further best practice examples and concrete implementation in the Talention software. You can request a demo here and someone will get in touch with you shortly. Request a demo now.